It’s Sunday afternoon and all I want to do is read a good book. Isn’t it the best feeling to know there’s a good book waiting for you when you get into bed at night? I love cozying in on a Sunday afternoon with a really great book and a cup of coffee. I love when you’re reading a book that’s so good you think about it when you’re driving or doing dishes. Mmmmm, three cheers for a good book! Bring it. Most of the time I prefer stories over self-help type books, but I’ve learned to expand my palate a bit over the years. Since my teen years there have been a few books that have big time impacted my life, so I thought I’d share them with you in case you’re looking for a good read. These aren’t my “just for fun” books, but they are books that totally changed my life. Just typing this makes me want to go back and read them all over again!! Yep, they are that good. 1. 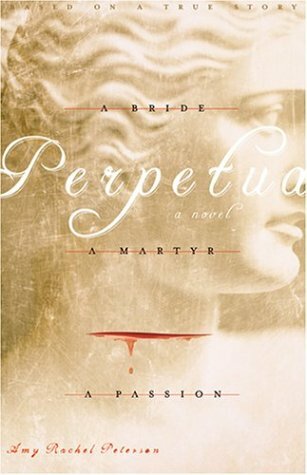 Perpetua: A Bride, A Martyr, A Passion by Amy Rachel Peterson. 2. 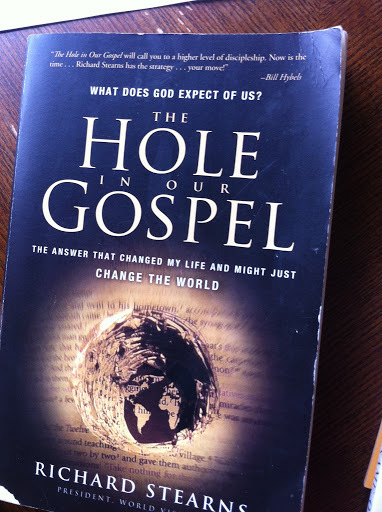 The Hole in Our Gospel by Richard Stearns. I.LOVE.THIS.BOOK. Richard Stearns left a powerful corporate job to become the president of World Vision. In this book he asks us to really look at what God expects of us. Is our faith just about attending church and living “good” lives? Or does God expect more from us? This book inspired me to really open my eyes, really open my heart and live a life wide awake to what the Father is asking of me. The Western church has a hole in it’s Gospel. We have forgotten the poor, the broken, the destitute. What do we plan to do about it? I am telling you, this book is not to be missed. and yours are the hands with which He is to bless us now. 3. In the Name of Jesus by Henri Nouwen. Jed tried to get me to read this book for so long. I kept passing it up, assuming it wasn’t my style. The title didn’t grab me, I knew the author was an intellectual…no thanks! I don’t like to have to think too hard when I’m reading. 🙂 But, then Jed described the premise for the book and I decided to give it a whirl. I’m so glad I did!! Henri Nouwen was a well-known priest and teacher of spirituality and psychology at Harvard and Yale for 20 years. He was successful and admired by many. As he says in the book, “As I entered my fifties…I came face to face with the simple question, ‘Did becoming older bring me closer to Jesus? 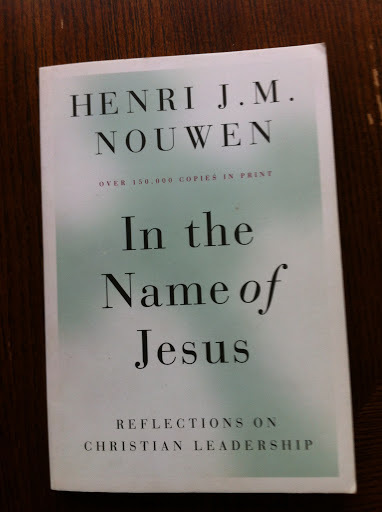 '” Nouwen decided he didn’t like the way his life was headed and he wanted more. So, when presented with the opportunity to become the priest for a community of disabled adults he said yes. Thus began his new life learning what is truly important. He gave away notoriety and fame to serve the ones who our society sees as the least. This book is his reflections on leadership from the perspective of serving that community. It’s an easy read and chalk full of gems. Read it!!! 4. 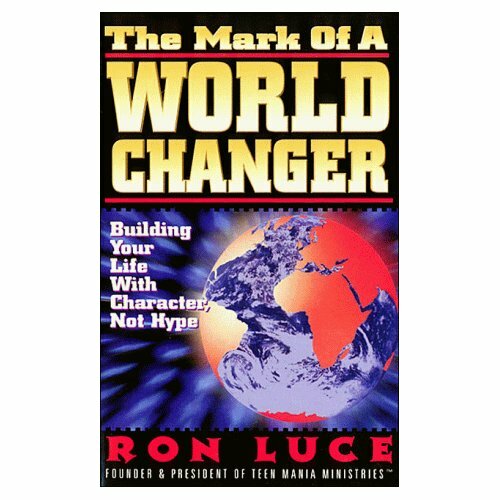 (Honorable Mention) The Mark of a World Changer by Ron Luce. This book was the first book I ever read that really hit me in the guts. I read it during my junior year in high school, and then again during my senior year. My life was changed. Of course it’s totally written for teenagers and I’m sure if I read it now I would laugh at it’s cheesiness, but it truly impacted my life. During my high school years I went on mission trips every summer with an organization called Teen Mania. This book was written by the founder of Teen Mania, Ron Luce. It’s all about living for Jesus- sold out for Him- every day. As a teenager who was prone to hopping from from the spiritual high of one youth conference to another, this book called me out. Living for Jesus is not just about what feels good. Living for Jesus is about giving everything for Him- even when you don’t feel like it. We’ve sold so much of our stuff along this journey to Ukraine. All of our stuff fits in our two bedrooms. Can you believe this book has made it through all the stuff-purging? Oh yeah baby. It was that life-changing. Maybe I’m saving it for my kids, or maybe I just need to keep it around to remind me of the time when Jesus first grabbed a hold of me for good. Regardless of the reason, there is no way I could ever get rid of that book. It’s full of cheese, but it’s also full of truth. So, what have you been reading lately? Do you have any great book recommendations that had a big impact on your life? Lay ’em on me! Sunshine and She Reads Truth!! Thanks for the recommendations! I'm ordering The Hole in the Gospel based on your review. Have you read Jen Hatmaker's "Seven"? Here is a link to her blog and a description of the book:http://jenhatmaker.com/"American life can be excessive, to say the least. That’s what Jen Hatmaker had to admit after taking in hurricane victims who commented on the extravagance of her family’s upper middle class home. She once considered herself unmotivated by the lure of prosperity, but upon being called “rich” by an undeniably poor child, evidence to the contrary mounted, and a social experiment turned spiritual was born. "Sue H.
I have watched the Perpetua cartoon with my kids, but didn't know there was a book-I want to read that! Also liked the Hole in the Gospel. Favorite book of last year was Kisses from Katie and A Good and Perfect Gift. Yes, I read it and loved it! I like her sense of humor.Sue H.
Mays Boy, by Shirlee Monty … YOU CANNOT PUT IT DOWN. A True Story that will make you cry and cry. Even the most impacted/handicapped child/person has a God given gift! May is a strong woman with an incredible way of coping and looking at life! Ben got crossroads for Christmas (author of The Shack) Interesting and good read…couldn`t put it down! Hey!! Came across your blog from the She reads truth!!! I love reading and getting into a good book. I say that the book has me trapped and I will stay up all night reading the whole book. I am a lover of books and can get through a book within days. But one book that I really like and enjoyed was "The Shack" WN. Paul Young. It was a really good book about God, Jesus, and the Holy Spirit. Hi! 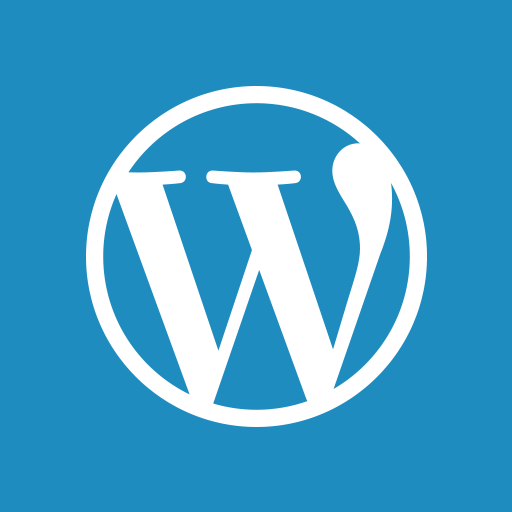 I also linked to your blog from shereadstruth.com. I just finished a book so looking for my next read at the moment. I think the book that made the biggest impact on my life is Ragamuffin Gospel by Brennan Manning. It totally changed my perspective on God and his grace. I give it to people as a gift all the time. Enjoyed reading your story today. What an adventure you have ahead! Just found your blog through SheReadsTruth. I haven't read Perpetua, but I know the author's sister Elizabeth, so I was delighted to see it here. I love what you're going to be doing in the Ukraine. Lots of blessings to you and your family on your journey. Okay, that's the third recommendation for Kisses from Katie. I guess I better read that one! Thank you for coming by! I haven't read The Shack, but I've heard a lot about it. Thanks for the recommendation! Thanks Missy! I think I read that book many years ago…but I should give it another run. Yes, we do have quite a big adventure looming. Wahoooo! What Does the Next Yes Mean? Superheroes Live in Our House. Follow Wide Awake on FB!